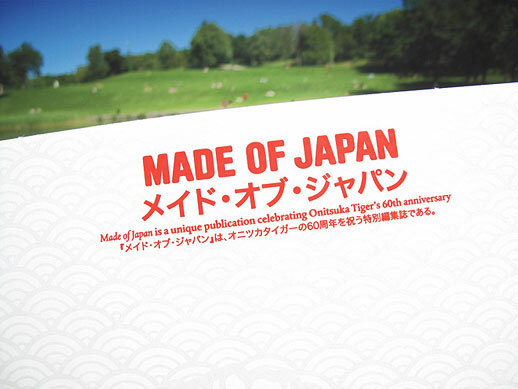 Onitsuka Tiger is celebrating its 60th anniversary on September 1st with the release of a 260-page book, and a limited edition set only available online from our TAB Shop. 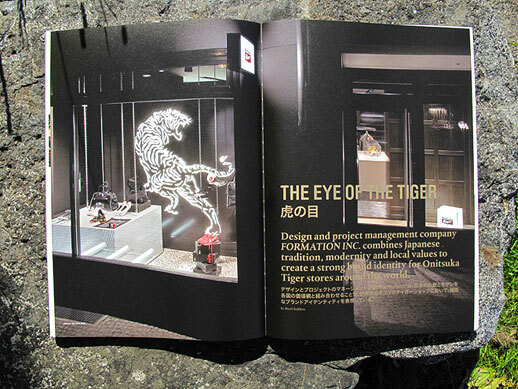 For the Japanese, turning 60 is an honour: it completes the 60-year ‘cycle of life.’ It is a magnificent milestone that inspired Japanese sports brand Onitsuka Tiger to create a magazine aimed at Japan lovers and ‘sports-fashion’ enthusiasts worldwide. 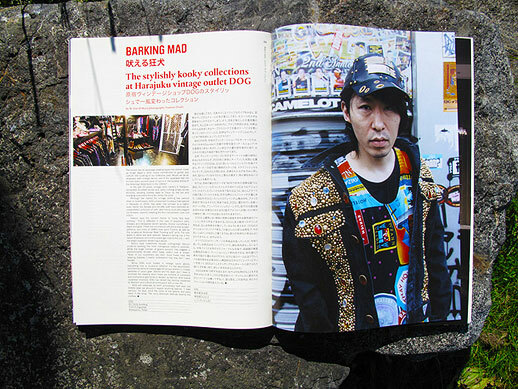 Made of Japan is the beautiful result: 260 pages presenting the brands’ original sports heritage, its vision and evolution, and its influence as a style icon amongst fashion leaders, artists, athletes and sports fans in Japan, the US and Europe. Made of Japan features interviews with more than 30 iconic personalities, including Chiharu Shiota (performance and installation artist who explores the cultures of Asia and Europe), Naomi Yotsumoto (colourful and stylish ping pong player), Yusuke Iseya (former model and one of Japan’s most treasured film actors), Hirofumi Kurino (leading authority on the Japanese fashion market), Mamoru Oshii, Kiyoshi Kuroda, Thomas Demand (German artist renowned for his 3-dimensional photographs inspired by Japanese paper art), and former star athletes Dave Cowens and Lasse Virén. 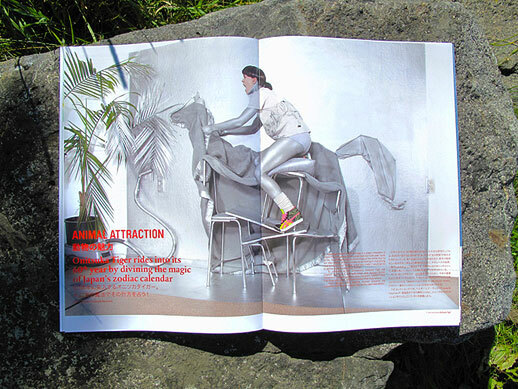 The creative team of German style title, Zoo Magazine, collaborated closely with Onitsuka Tiger to create this unique publication. 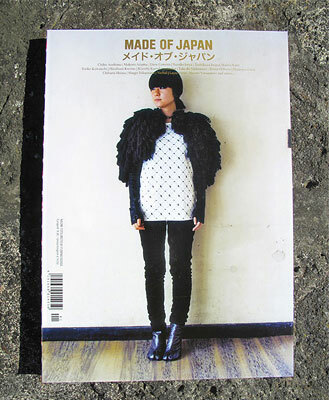 Published in English and Japanese, Made of Japan is destined to be a collector’s item. The magazine’s physical attributes merge traditional Japanese book-binding methods with a clean, authoritative look and feel; the use of various types of paper underlines its intriguing contents. 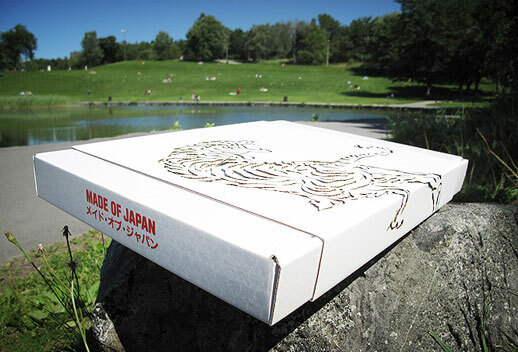 Tokyo Art Beat is the exclusive online reseller of a limited-edition set including the 260-page soft cover book, a silk-screened box & a carton sleeve with a laser-cut Tiger motif. Limited to 250, it is available right now in our online store. We ship worldwide. A non-boxed edition of 10,000 will be distributed in a selection of exclusive shops in Japan, the US and Europe as of September 1st. 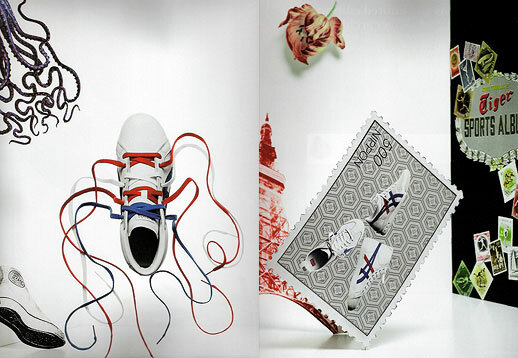 Stores include Colette (Paris), Do you read me?! (Berlin), SPRMRKT (Amsterdam), International Magazine Store (Antwerp), Selfridges (London) and Henrik Vibskov Boutique (Copenhagen), as well as international airports and railway stations. If you’re in NYC tonight Tuesday 1st of September, LimitedHype are hosting a launch party at Reed Space with the support of Asahi Beer.